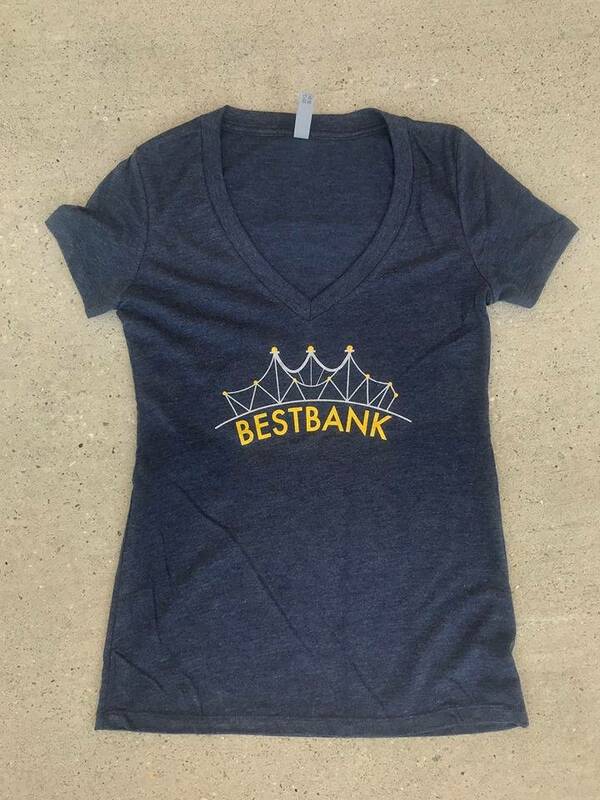 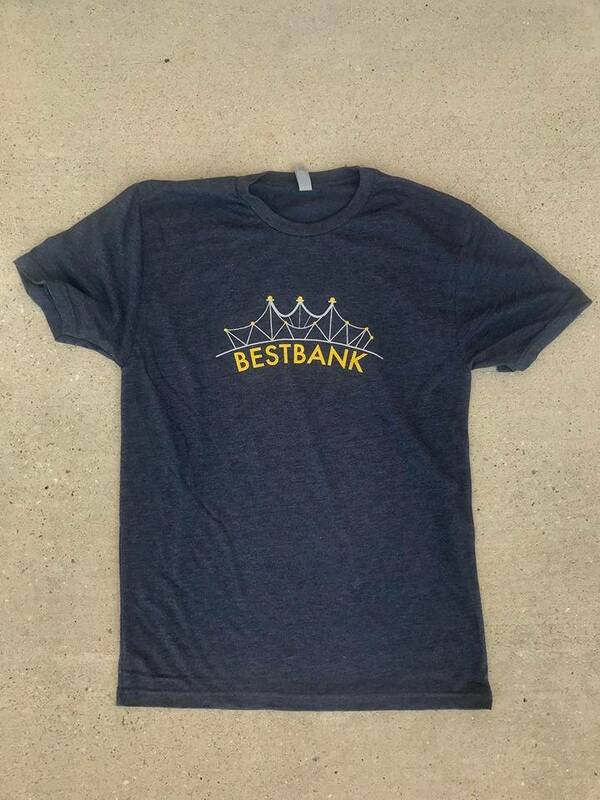 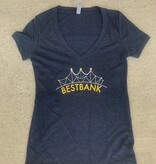 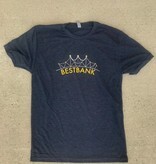 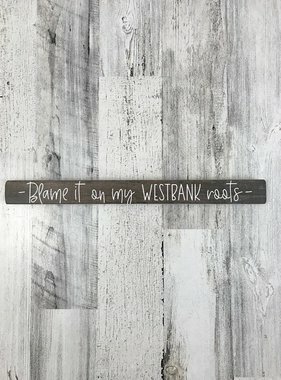 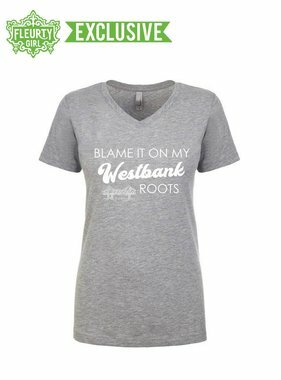 Bestbank tee. 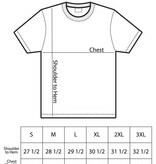 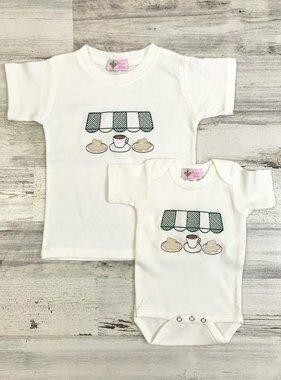 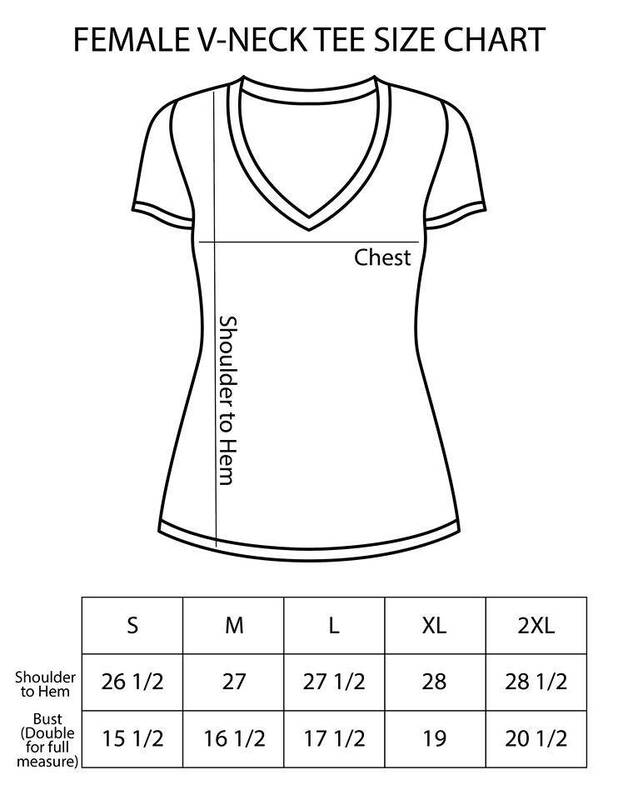 50% polyester/25% rayon/25% cotton V-NECK tees. 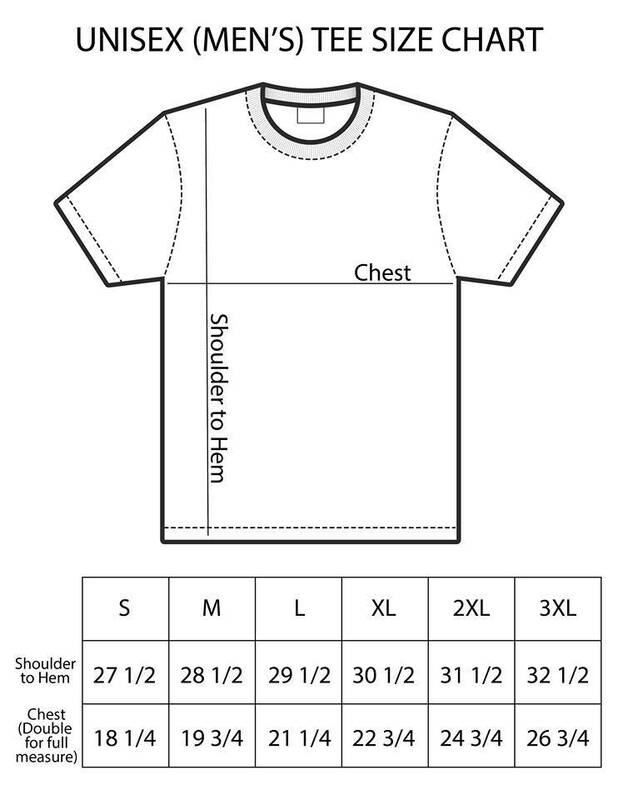 Unisex (men's) sizes printed on 50% polyester/25% rayon/25% cotton CREW NECK tees.